Not just any can. A SUPER HUGE can. Cougar Cheese is an American cheese made at Washington State University Creamery in Pullman, Washington. Do not worry, it is not made from cougars (cougars are the university’s mascot), but good ‘ol fashion cows. This cheese has been produced since the 1940s and has always been packaged in a tin can. One of a kind! Fits perfectly in my big glass tupperware. 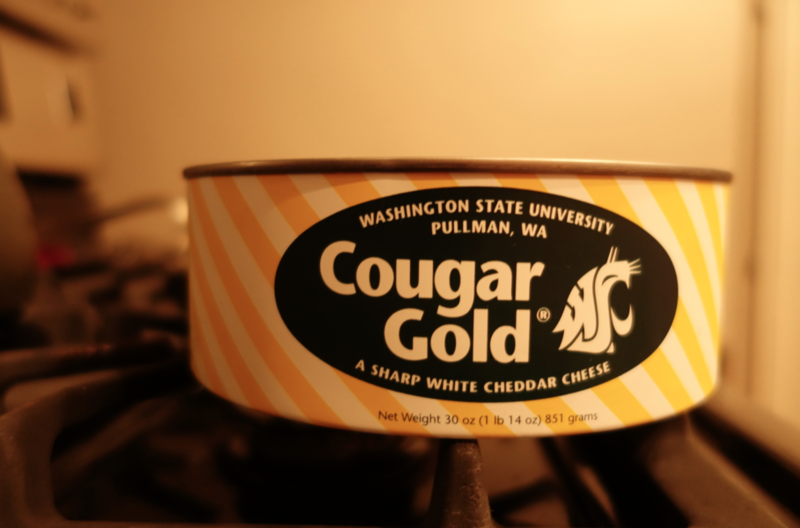 WSU Creamery creates a lot of different types of cheese, but their most famous and popular choice is the Cougar Gold. A winner of many national and international awards, this rich, white cheddar has a smooth and firm texture. This cheese has a deep and intense flavor… nutty, sharp, and oh-so-delicious. The tins are aged for over a year, and are recommended to sit in your fridge to age even more, as with time they become more sharp and crumbly. 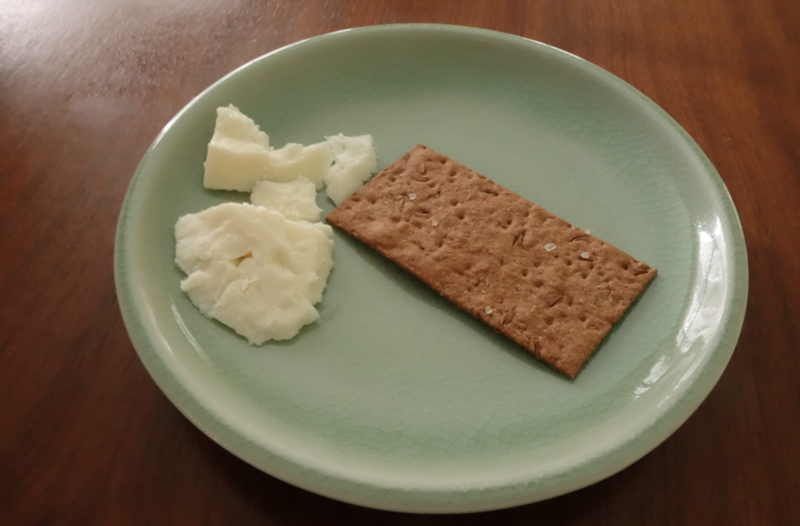 The crystals that develop with time give the cheese a crunch and intense bite. Check out those chunks of crisp, aged cheese. Drool. Cougar cheeses come in the following flavors: cougar gold, natural cheddar, smoky cheddar, viking, dill garlic, sweet basil, hot pepper and crimson fire! So many to choose from! 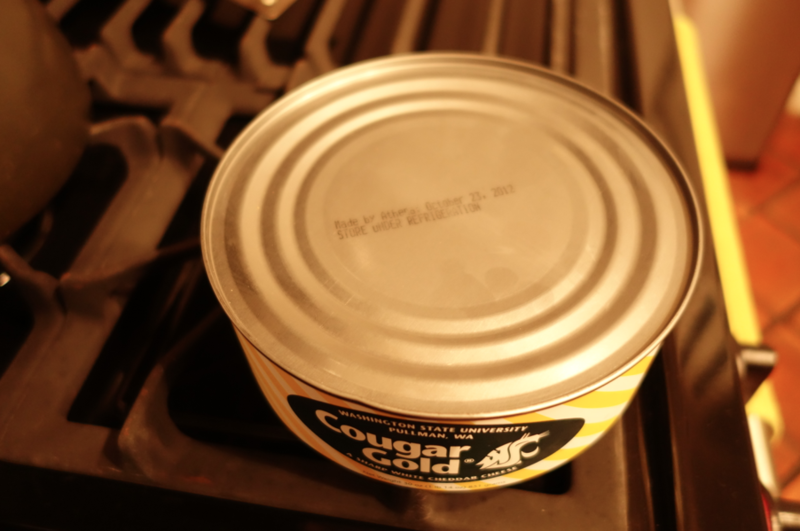 Although once you taste the cougar gold, there is no going back….. To order call or go online. You will want to buy multiple tins — for yourself, the hostess at the next party you attend, your parents, your secretary, the list goes on and on, and you will want to spread the love. So deliciously good. you should try my husband’s grilled cheese. 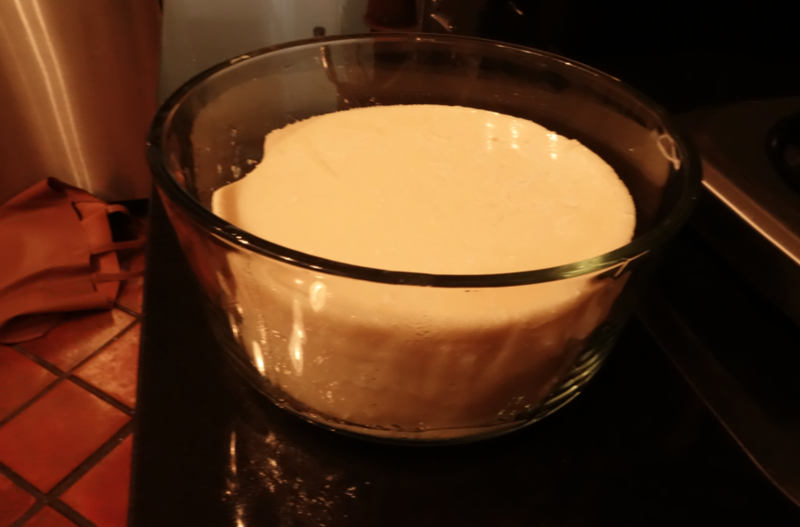 I’m a cheese addict, always love a good blog post about cheese! 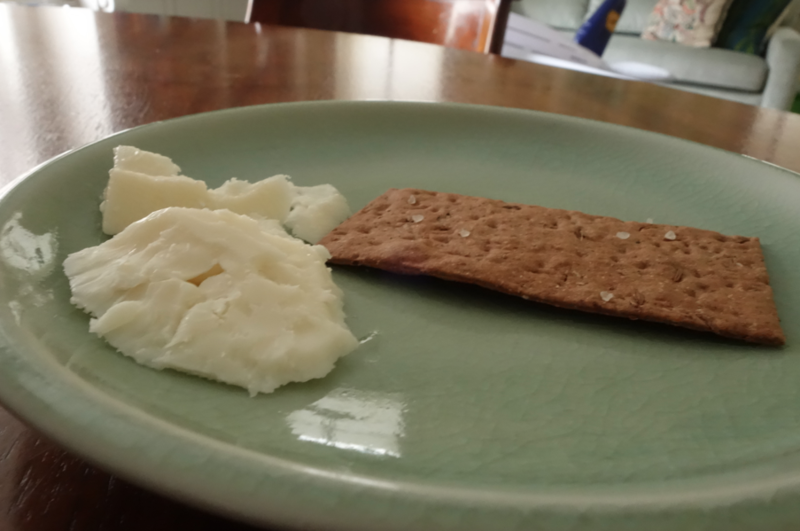 If you love cheese, then definitely definitely try this one. looks and sounds delicious! would love to try it. Have a friend gift it to you! 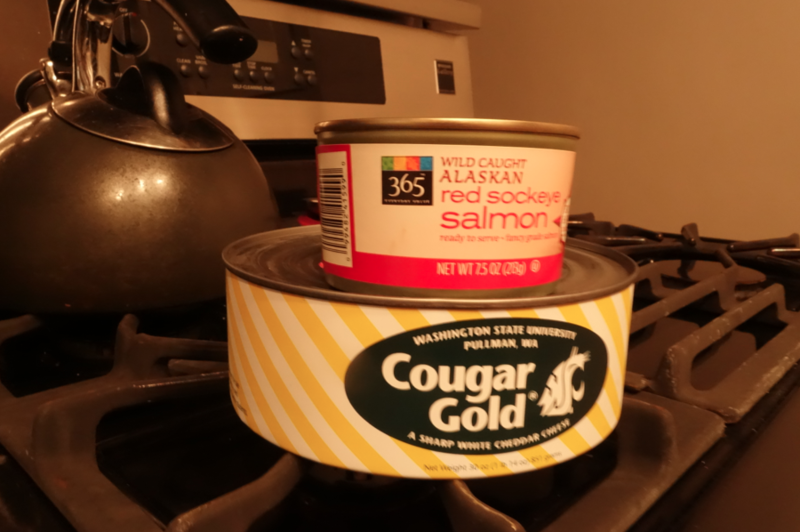 Even though I live Udub Husky land, can’t deny a good Wazzu Cougar Gold tin! Yum! 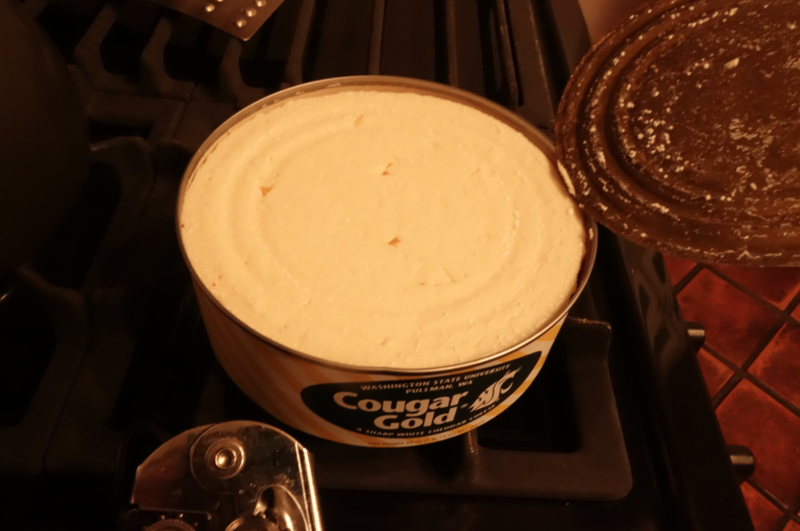 I love Cougar cheese! Isn’t it the best? I bet you have a ton of amazing recipes to use with it!